When this first arrived it took a bit of thinking about which of the fur babies would end up using this. Int the end it didn't really fit well inside fuzzy's cage so Reese ended up with it. Another deciding factor was that hers is always getting kicked or split because its in front of the kitchen cabinet. It has been amazing not having water all over the floor every time you accidentally bump the bowl. Fuzzy sometimes will go demolish her food and water supply when we aren't looking and when he does he always makes a mess. With the neater feeder the only food that ends up on the floor is the ones he spits out on the floor. No more mistakes and accidentally knocking them out. The tray ni the front sometimes ends up with a pile of food in it and Reese acted like she was too good to eat it just like she freaks when she can see even just a small piece of the bottom of the bowl and won't eat anymore until you cover the spot. One day she was doing this and so I started to put everything back into the bowl she had knocked out and then she got the gist and started to eat everything she had knocked out. 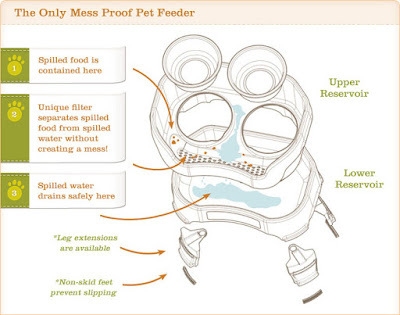 The neater feeder has changed our life and made keeping the food bowl area easy to keep cleaned. We will probably get a smaller size for Fuzzy's cage because he is always dumping his food. It might not help in his case though because sometimes he just flips his bowl. He never does it to hers just his, hes funny that way. Head over to http://www.neaterfeeder.com/ To purchase your own! 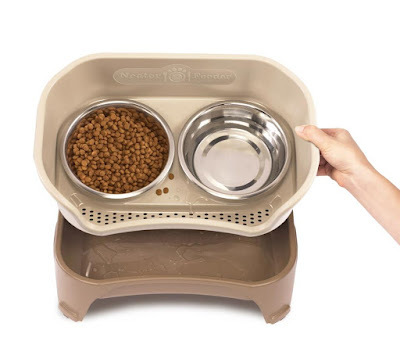 I would love to have a Neaterfeeder for my 4 cats. 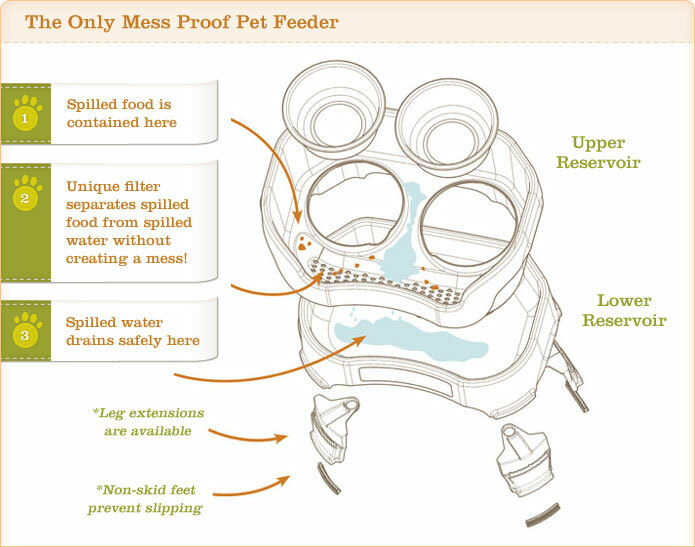 I am filling their bowls multiple times a day and the Neaterfeeder would be so helpful and convenient!